Ventec Life System has put five specialized medical devices into one compact life-support pack for patients who need ventilators, allowing them to easily move outside their homes. Ventec Life Systems has found a way to put five respiratory devices into one compact pack, making it possible for patients who need ventilators to be easily mobile. The Bothell startup calls its system VOCSN. It’s made for patients who have conditions ranging from muscular dystrophy to cystic fibrosis to chronic lung disease — diseases that require specialized medical devices to be nearby at all times. The life-support device, with a nine-hour battery life, makes it possible for patients and caregivers to easily move around, said founder and CEO Doug DeVries. It can make a big difference not to feel homebound, he said. VOCSN’s name comes from the five devices it contains: a ventilator, oxygen concentrator, cough assist device, suction unit and nebulizer, used to give medicine in a mist form. Everything is designed to be portable, and the whole pack weighs about 18 pounds — compared with the 55 pounds of five separate, standard devices. The company received Food and Drug Administration clearance for the device last month. It plans to produce its first 20 units this month and slowly ramp up from there. Ventec hasn’t determined an exact price yet for the VOCSN, and for now is saying that it will cost less than the price of all five devices combined, which is about $22,000. DeVries, who has a mechanical-engineering degree from California Polytechnic University, has spent his entire professional life developing ventilator technology, primarily focused on ventilators used in intensive-care units. His father was diagnosed with ALS in 1989, and he elected not to go on what was then a bulky, heavy ventilator. “It got me thinking about what could be done,” DeVries said. He founded Pulmonetic Systems in 1997 and developed one of the first ventilators for home-care and long-term-care patients, meaning patients could leave the hospital and return home much quicker than previously. The ventilator became popular among child patients who had been in the hospital for months. “Superman” actor Christopher Reeves also used the technology, DeVries said. Reeves, who died in 2004, used the ventilator after a 1995 accident left him a quadriplegic. Ventec’s device pushes the technology one step further, so patients can easily leave their homes. 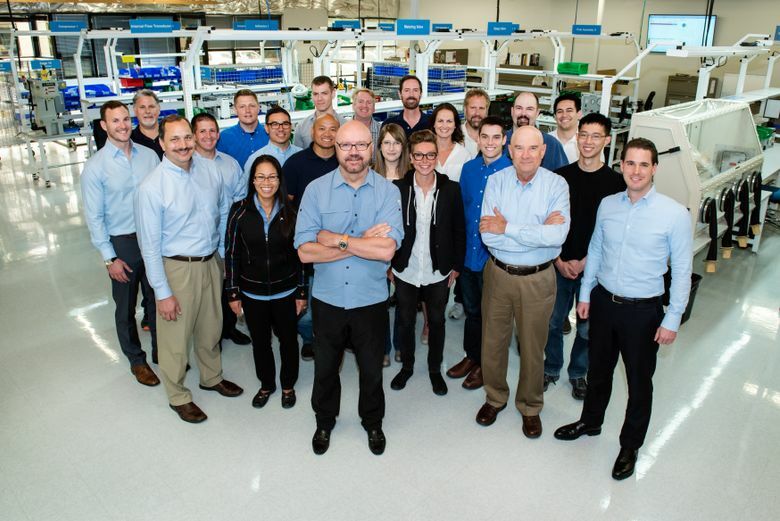 Ventec has raised more than $28 million, mostly from friends and family. DeVries expects Ventec’s 35-person team to grow “dramatically” over the next couple years as the company begins selling devices. Information in this article, originally published May 7, 2017, was corrected the same day. A previous version of this story said DeVries joined the team at Pulmonetic Systems; he actually founded the company.